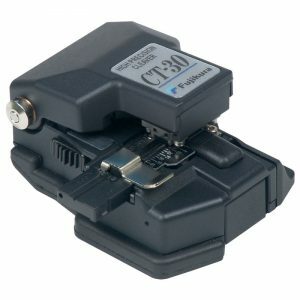 The CT-30 Cleaver sets the standard for portability, reliability and ease of use. 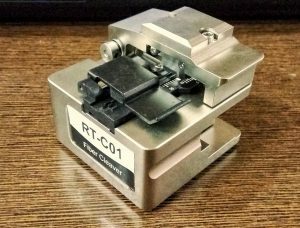 Available for either single fiber or ribbon splicing (up to 12 fiber ribbons) applications the CT-30 Cleavers are compatible with all AFL fusion splicers. The improved version offers a larger base for a more stable platform improved visibility when placing the fiber and three scrap collection options. Designed for excellent portability the CT-30 is equally at home in a splicing van or in a bucket truck and is ideal for FTTx applications. The 16-position blade yields 48,000 single-fiber cleaves or 4,000 12-fiber ribbon cleaves before requiring replacement and the built-in scrap collector conveniently stores fiber shards until they can be safely discarded.